Kristin Paiva is a partner at the Phoenix-based law firm of Thorpe Shwer, P.C. She practices in the areas of commercial litigation and personal injury defense. 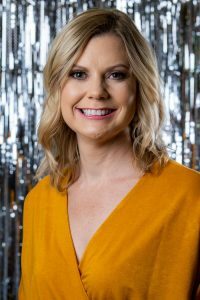 She is passionate and committed to bettering her local community and has been involved with several non-profit organizations in the Valley including Phoenix Suns Charities 88, Equality Arizona, and the Arizona Animal Welfare League. As a proud Auntie to two beautiful nieces, Kristin understands that our future is dependent upon the development of our children and believes every child deserves an opportunity to feel loved in a stable environment. In her free time, Kristin enjoys yoga, traveling, and binge-watching her favorite television shows. Support Kristin Paiva by purchasing your sponsorship, People’s Choice Votes and/or tickets below to attend our brunch event on December 1, 2018. If you aren’t able to attend, you can still support her by purchasing votes for her to win the People’s Choice Award!